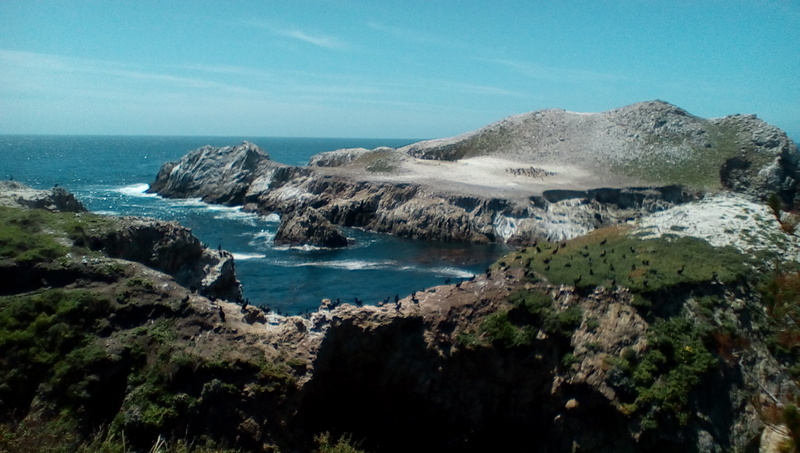 To enrich her visit to Pacific Grove Aki’s other human and I invite a friend on a walk across the Point Lobos marine refuge. Yesterday’s sun and wind dried out the trails. 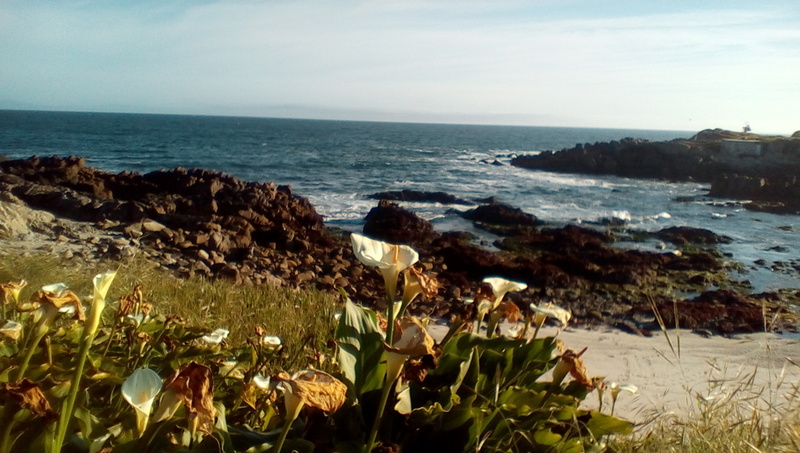 but the surf crashing against the headlands may make it hard to see otters. 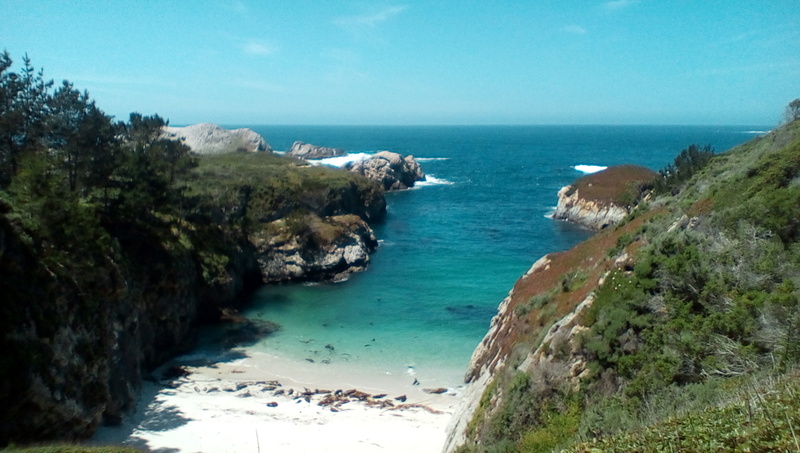 From the path to bird rock, we spot a score of harbor seals scattered on the China Cove beach. Some of the pups still wear the wrinkled skin of new borns. Those not sleeping on the beach play in the aquamarine water of the cove like kindergarteners at recess. Around the corner, just on the other side of some nesting cormorants, female sea otters and their pups have formed an interwoven raft, the pups reclining on their mother’s stomach. This entry was posted in Uncategorized on April 27, 2017 by Dan Branch.